Thanks to the support of the United Nations (UNHCR, UNICEF), we could contribute a public Virtual Reality experience to the “Langer Tag der Flucht” (“Long day of flight”) in the Volksgarten Linz. 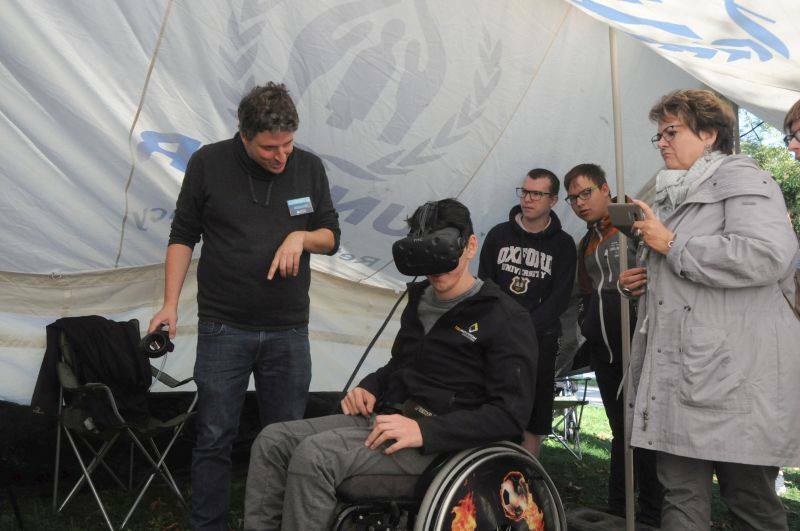 We put up a standard issue UNHCR family tent in Linz’s central park and invited park visitors to experience the living conditions in different refugees camps using VR. To do this, we used a Vive VR headset to show 360° video content produced by UNICEF about refugee camps in Turkey, Jordan, and Bangladesh. The reactions of our visitors showed how powerful such an immersive experience can be. We are happy that we could contribute a tiny bit to raising the public awareness around the plight of refugees.